As an important “pushing hand” to boost brokerage performance expectations, Kechuang Board is favored and is expected to become one of the “hearts” of the business of securities companies throughout 2019. A-shares broke through trillions of times, and the performance of brokerages welcomed the big turn. With the March operating data released, 35 A-share listed brokers in the first quarter of 2019 performance began to take shape. According to the statistics of the reporters, from January to March 2019, 35 listed brokers realized a net profit of 32.046 billion yuan, a significant increase of 68.92% over the same period of the previous year, and the second best performance in history. Benefiting from favorable trading conditions in the market, amplifying trading volume, and smooth development of the board, the brokers' business lines improved in the first quarter. Analysts believe that with the market sentiment soaring, the performance elasticity continues to expand, and the capital market reform policy is intensive, the brokerage sector may have a good investment value and is expected to enter a stage of double valuation and performance. According to statistics, from January to March 2019, 35 listed brokers realized a total operating income of 71.053 billion yuan and a net profit of 32.046 billion yuan, a year-on-year increase (comparable to the caliber) of 49.72% and 68.92%. 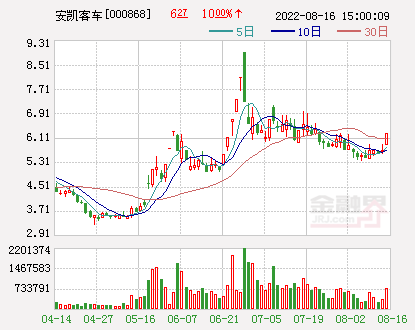 In the first quarter of this year,Guotai Junan(Hong Kong stocks 02611),CITIC Securities(Hong Kong stocks 06030),Huatai SecuritiesThe accumulated net profit was 3.05 billion yuan, 3.024 billion yuan, and 2.730 billion yuan, ranking the top three. The top three in terms of cumulative net profit growth isThe Pacific Ocean,Soochow Securities,Northeast SecuritiesThe increase was 1854%, 463%, and 408% respectively. From the perspective of performance growth, the performance of small and medium-sized brokerage firms is relatively flexible. according toTianfeng SecuritiesStatistics, from January to March, the cumulative net profit of at least 12 listed brokers increased by more than 100% year-on-year. In addition to the top three brokers mentioned above,Oriental Securities(Hong Kong stocks 03958),Western SecuritiesThe accumulated net profit also improved significantly year-on-year, with an increase of 315% and 200% respectively. China Merchants Securities(Hong Kong stocks 06090) Zheng Jisha, chief analyst of the non-bank financial industry, said that from the cumulative metrics in January-March, it is expected that the listed brokers' quarterly report is expected to achieve a significant growth of around 70%. Net profit is expected to be about 20% lower than the first quarter of 2015, which is the second best performance in history. Tianfeng Securities expects that the growth rate of listed brokers in the first quarter will be slightly higher than the monthly financial data. The difference in performance is expected to be related to self-operated allocation. Benefiting from the amplification of A-share volume, the substantial increase in financing scale, and the continuous increase in market activity, the major business lines of brokerages have improved. Li Xing, an analyst at Lianxun Securities, said that from the business sector data of brokers, the average daily turnover of Shanghai and Shenzhen stock markets in March 2019 was 928.5 billion yuan, up 48% from the previous month and up 84% from the same period last year. The average turnover was 886.5 billion yuan, up 50% from the previous month. The Shanghai and Shenzhen 300 index closed at 3872.34 points at the end of March, up 5.53% in a single month. The CSI fully-debt index rose 0.38% in a single month. At the end of March, the balance of the two bonds was 922.2 billion yuan. In terms of investment banking data, the IPO size in March was 8.7 billion yuan, a year-on-year increase of 102%, and the bond financing scale was 855.8 billion yuan, a year-on-year increase of 97%. March data is good for the first quarter of the exchange to lay an important foundation. The data shows that the average daily turnover of the stock base in the first quarter was 655 billion yuan, up 37% year-on-year. The three major indices in the first quarter were gratifying. The Shanghai Composite Index rose 23.93%, the Shenzhen Component Index rose 36.84%, and the GEM index rose 35.43%. Due to factors such as the change of the audit committee, the IPO raised in the first quarter was 25.3 billion yuan, down 33% year-on-year. At the same time, refinancing was 303.3 billion yuan, up 13% year-on-year; bond underwriting was 1.4261 billion yuan, up 116% year-on-year. With the normalization of the application and acceptance of the Supreme Exchange's science and technology enterprises, the market's attention to the investment opportunities of the science and technology board has gradually increased. As an important “pushing hand” to boost brokerage performance expectations, Kechuang Board is favored and is expected to become one of the “hearts” of the business of securities companies throughout 2019. Recently, a number of brokerage companies have carried out various thematic activities related to the Science and Technology Board, involving institutional client seminars, high-net-worth client investment strategy meetings, investment bank exchange seminars, and investor education activities. Since March, according to incomplete statistics,Guosen Securities,CITIC Securities,Shen WanhongyuanSecurities,Founder Securities, Soochow Securities, Lianxun Securities,CITIC Construction InvestmentSecurities (Hong Kong stocks 06066),Guojin SecuritiesSuch brokers hold offline activities related to the theme of the science and technology board. In terms of institutional customers, on April 9th, Guosen Securities organized a detailed discussion on the access, transaction and exit mechanism of the Science and Technology Board in the “Technology Innovation Times” theme. On April 2nd, CITIC Securities Research Department organized a theme forum of “Kechuang: Transformation and Growth” for its private clients. The companies involved in the conference covered industries including communications, computers, medicine, and public environmental protection. At the business department level, brokerage activities are also being carried out intensively. “We have recently launched investment activities related to the investment in Science and Technology Investment, and online and offline investors have participated together.” An investment consultant of a medium-sized brokerage told the International Finance News reporter that “Kechuang Board” The launch is a historic opportunity. Now there is still a period of time to invest in this sector. What we can do is to help investors figure out the ins and outs of the science and technology board, especially the interpretation of the trading rules. The knowledge reserve also further clarifies the investment risks." 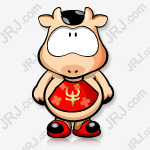 In addition, online activities as an aid, and offline promotion. Recently, CITIC Jiantou, Zhongtai Securities, Founder Securities,Great Wall Securities,Caitong SecuritiesA number of brokerage research institutes have conducted teleconferences related to the theme of the science and technology board. "Market sentiment is high + performance elasticity continues to expand, continue to be optimistic about the value of the brokerage sector investment." Bank of China International Securities non-bank financial analyst Wang Weiyi said. It is worth mentioning that the securities industry is expected to meet the three favorable policies during the year. Zheng Jisha said that the first is to launch the experimental field as a market-oriented reform of the capital market, to incrementally drive stock reform, and the GEM reform is also expected to be launched. Second, the industry further emphasizes returning to marketization, and the secondary stock market is reduced to trading. The intervention of the link will help improve liquidity and form incremental funds. Third, the derivatives market is forming a combination of boxing, and the futures index will return to normalization. The 300-index option is expected to be introduced during the year. Strategy to attract quantitative capital and foreign investment. "In 2019, the securities industry showed an inflection point, the capital market reform policy was intensively laid, and the logic of brokerage valuation improvement was continuously verified." Ma Wanpeng, chief analyst of Shenwan Hongyuan Securities Banking Co., said that the superimposed social financing in January exceeded expectations and the transaction activity increased. Investors are concerned about the possibility that the brokerage performance will further exceed expectations in 2019. In terms of sector investment proposals, Tianfeng Securities said it is recommended to focus on investment policies + performance-driven brokerage stocks. Specifically: capital market reform and policy corrections + investment bank and direct investment business growth + financing costs down%2B equity pledge bailout + concentration increase + stock market recovery + high Beta (excess return). The industry average valuation is 2.31 times PB (P/B ratio), large brokerage valuations are between 1.4 times and 2.1 times PB, and the median historical valuation of the industry is 2.5 times PB (2012-present). Huaan SecuritiesSaid that optimistic about the brokerage sector stage investment opportunities. On the policy front, strong supervision has turned, the policy environment has gradually improved, and favorable policies have been frequent. The follow-up policies are expected to continue to exceed expectations. On the fundamentals, the company's launch is soon, and it is expected to bring incremental income to brokerage investment banks, brokerage and direct investment. Strong investment banking brokers have strong comprehensive strength and are expected to take the lead in the competition. The rebound in the stock market has brought about a significant increase in the performance of brokerage firms.